A wet and reckless is almost identical to a DUI. Under California Vehicle Code § 23103.5, the prosecutor can offer a lesser charge of wet and reckless instead of the straight DUI charge. There are benefits to this charge and there are its drawbacks. The benefits generally include substantially lower fines, less or no jail time, less probation. The drawbacks are that it has the same effect as a DUI conviction for the purposes of being used as a prior. Sometimes those offered wet and reckless pleas would win their trial if it was brought in front of a jury. Unfortunately, many people resolve their case for a wet and reckless, when an acquittal could possibly be gained if taken to trial. On the other hand, sometimes cases are likely to be lost and a wet and reckless is a great option. In addition to a wet and reckless, sometimes a "Helmandollar Waiver" can be negotiated in your case. Although, these waivers are rare in some jurisdicitons, in others, they are more attainable. A "Hellmandollar Waiver" is something in California that the court can give you if your DUI has been lowered to a different offense such as "wet reckless". If you obtain this waiver, then the DMV will reinstate your driving privileges or not suspend your license. Helmandollar vs. DMV (1992) 7 Cal.App.4th 52 was the name of a court case in 1992 and where the Helmandollar waiver comes from. The case ended with the court requiring the DMV to set aside a suspension where a defendant is found not guilty on the charge of 23152(b), driving with a BAC of .08% or more. A Helmandollar waiver is particularly important to those persons who drive for a living. Do not wait for the DA to charge you with this crime. 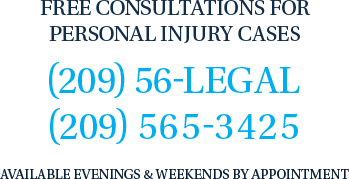 If you were arrested or cited for a DUI you need an attorney immediately. Don't forget to request a DMV hearing within 10 days. Then call the Bogan Law Firm for a confidential consultation.